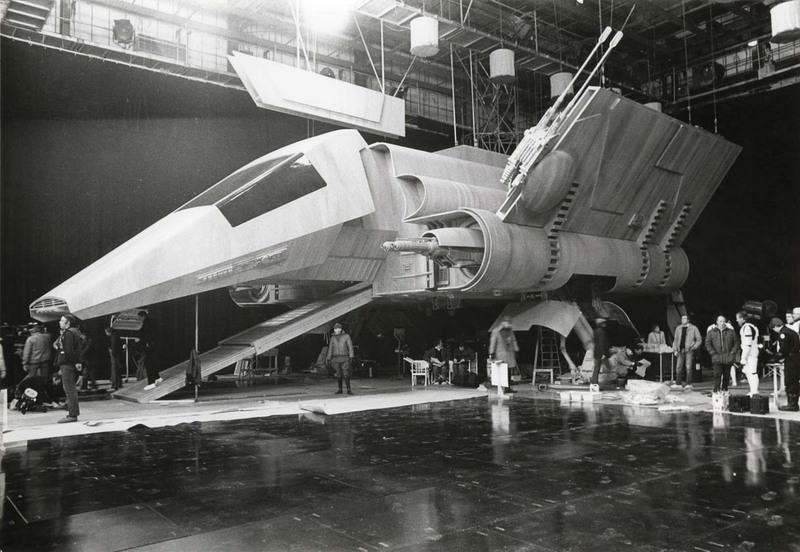 This is a behind the scenes photograph of the Lambda-class T-4a shuttle from the original Star Wars trilogy, with all the furore over the recent sale of Star Wars to Disney I remembered that we had this photo sitting in an old folder and thought now would be a good time to share it. After doing a little research on the T-4a shuttle I was stunned to find its entry in the Wookieepedia is actually extensively detailed, like crazily, crazily detailed. It even goes into detail on the engineers who designed her (in the Star Wars universe) and gives a detailed breakdown on different model iterations. Click here to read it, it’s worth it.